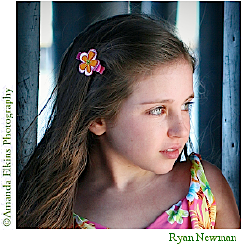 Each clip is wrapped in the highest-quality Swiss Velvet, so it's always soft against your daughter's head, it never uncomfortably tugs on her fine hair, and has a safe magnet under the velvet that creates a secure, non-slip clasp. All clips come in tow sizes: 1 1/4 Mini Pinch Clip (MC) that are perfect for babies and toddlers with a few strands of hair and 1 3/4 Pinch Clip (PC) that are best suited for toddlers and young girls with thicker hair. 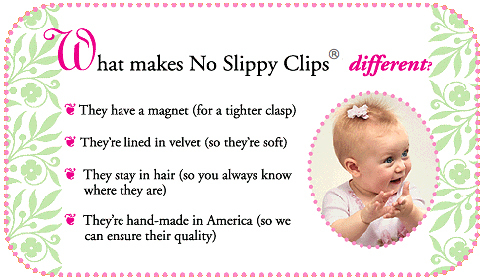 No Slippy Hair Clippy hair accessories are hand made in the USA. Qualifies for 80 Rewards Points!